Minnie Mouse Dress. Navy Chevron. 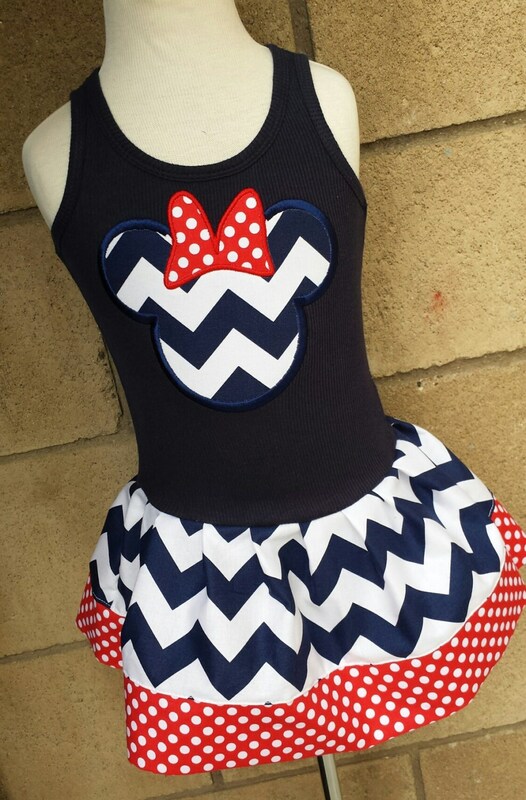 Tank dresses start at 6mo through 7/8. Amazing dress and super accommodating seller who went above and beyond to get the dress here for my daughter’s birthday!! Such a cute dress, very nice quality! Can’t wait to have my daughter wear it! Beautiful dress. Perfect for our cruise.